SMJ’s Christmas Countdown is Back! Another edition of SMJ’s Christmas Countdown! Toda y has been a busy day. 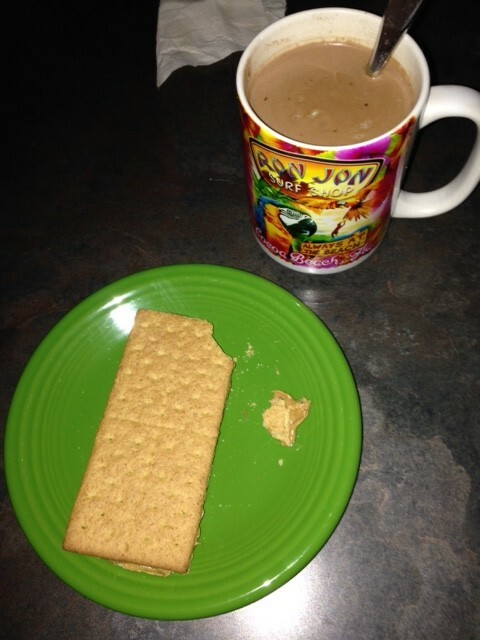 I got up early, had a breakfast of hot cocoa and peanut butter graham crackers so I would have plenty of energy. See, it’s getting late in the season and I haven’t finished shopping for my family and friends. By doing it today, I think I’ll get in just under the deadline to receive it before Christmas. If I’m lucky, and being a sock monkey I usually am, I might get it a few days early so I’ll have time to wrap them up. And, yes, I know that’s another one of Sandra’s favorite mugs, but she let me borrow it since it’s been so cold outside I wanted to be reminded of warm weather. She said I could use her Ron Jon mug from Cocoa Beach, Florida. I think it added to my energy thinking of all that warm air and sunshine. So, after that scrumptious breakfast, I ran downstairs and hopped on the computer. You have to get u p early to get on before anyone else. 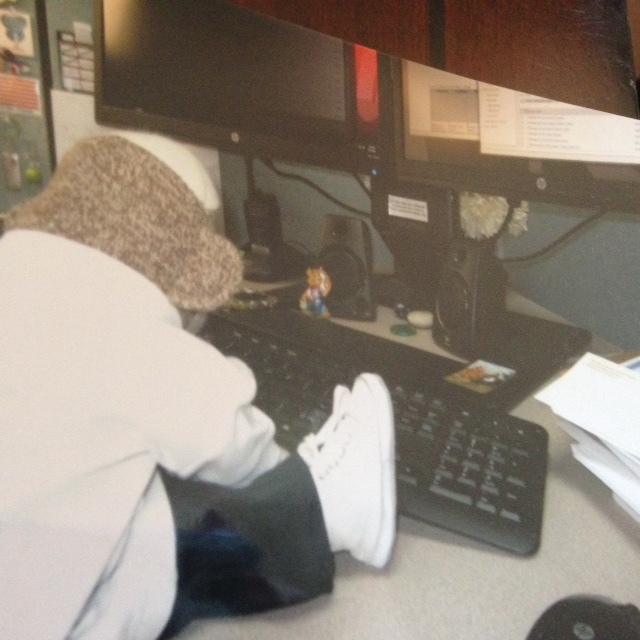 Here I am typing in my order on one of several websites I visited. I have a long list of gifts so I need to visit a lot of different online stores. If I can’t find everything online, I’ll have to sweet talk Casey into taking me out. Don’t worry, she will. She loves hanging out with me. Do you have any idea how hard it is to type on a keyboard when your fingers are as stubby as mine? Well, let me tell you, it’s not easy. I had to back space and correct a bunch of times before I got the item number entered correctly. I had a feeling this was going to take a while and I was right. By the time I finished it was time for lunch. 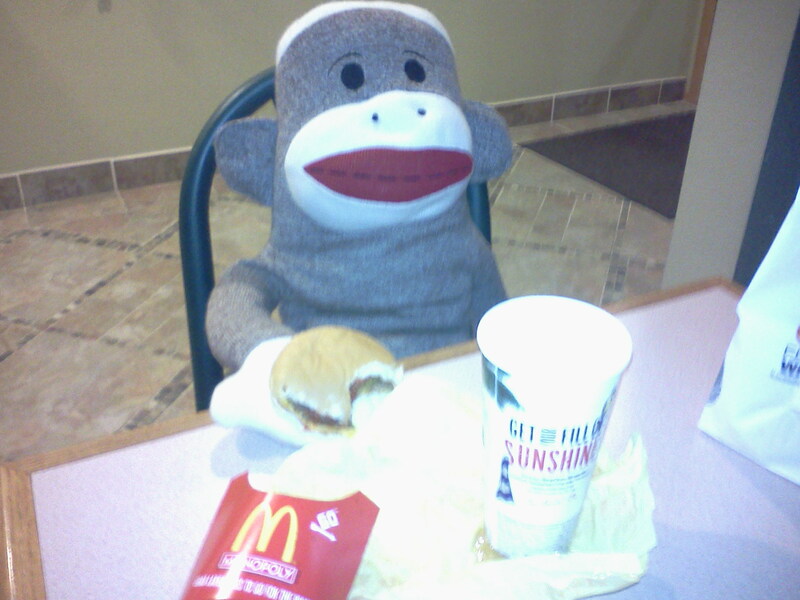 In need of some fresh air, I called up a friend and we met for lunch at McDonalds. I think he supersized his meal. He is a pretty good sized monkey. Quite a bit bigger than me. I’m more of a Happy Meal kinda guy. Besides, you get cool toys to play with while you wait for everyone else to finish eating. When we were finished with lunch, my friend dropped me back at my house because I needed to finish shoppin g.
As you can see, I’m hard back at it. With these fingers I’m not sure I’ll ever get finished. I guess I should focus on one thing at a time, so I can finish. I’ll sign off for now. Oh, one last thing. Are you done with your Christmas shopping? If so, leave me a comment letting me know how you did it so I can do it that way next year. 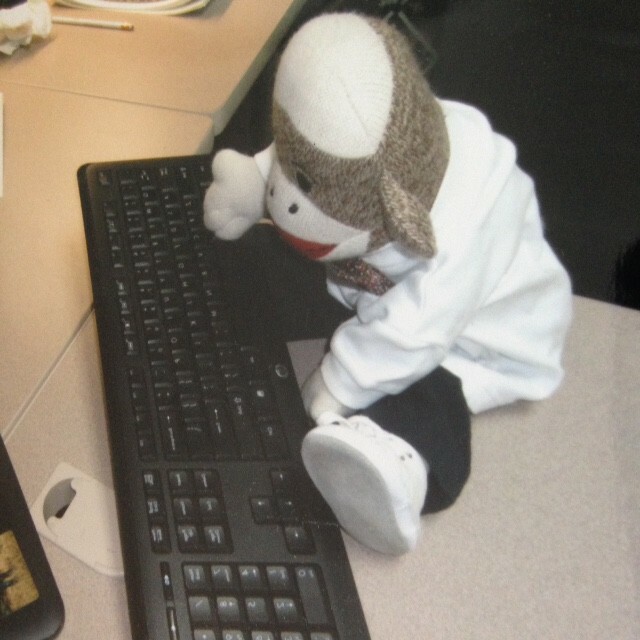 This entry was posted in The Sock Monkey Series and tagged Christmas Shopping, family, Happy Meal, hot cocoa, McDonalds, On-line, on-line shopping, presents, shopping, sock monkey, sock munkee, stuffed animals, toys. Bookmark the permalink. Proudly powered by WordPress | Theme: Rusty Grunge by Chris Wallace.